At this time, it does not appear that any officer fired a weapon, St. Petersburg police said. 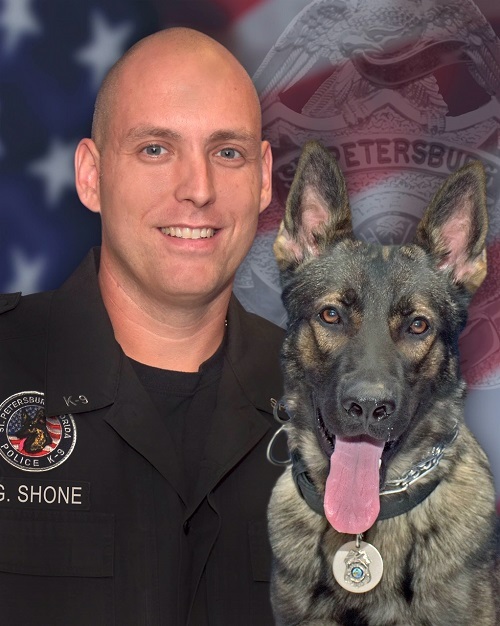 ST. PETERSBURG – The St. Petersburg Police Department is investigating an early morning shooting that left one man dead and a police officer and police dog suffering from gunshot wounds. Elijah Johnson, 23, died at the scene. Officers said he died of what appeared to be a self-inflicted gunshot wound. 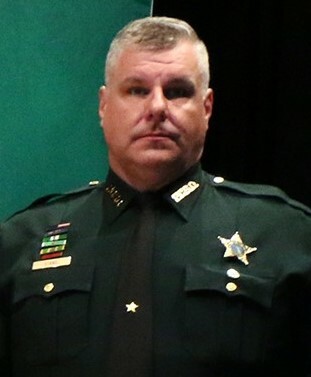 Pinellas sheriff’s Sgt David Stang was shot in the shoulder. Stang was taken to Bayfront Health St. Petersburg where he was in stable condition. K-9 Titan was also shot. The dog underwent surgery and was also in stable condition. Police said the investigation is in its early stages, but preliminary information indicates that, shortly before 2 a.m., a Pinellas County Sheriff’s deputy with the Joint Violent Crimes Task Force tried to make a traffic stop in the area of Third Avenue S and 26th Street. Mr. Johnson, the driver, initially stopped but then fled from the scene. Shortly afterwords, Mr. Johnson abandoned his car at Second Avenue S and 26th Street. At that point a St. Petersburg K-9 officer and his dog, Titan, began tracking the area. Police said Mr. Johnson shot Titan, then fled from that scene. A short time later, officers said Mr. Johnson fired shots at Stang, who was in his vehicle at Third Avenue S and 27th Street. Mr. Johnson was found dead wound near Third Avenue S and 26th Street. At this time, it appears no deputy or officer fired a weapon. St. Petersburg police and the Pinellas sheriff’s forensic science division are jointly investigating. 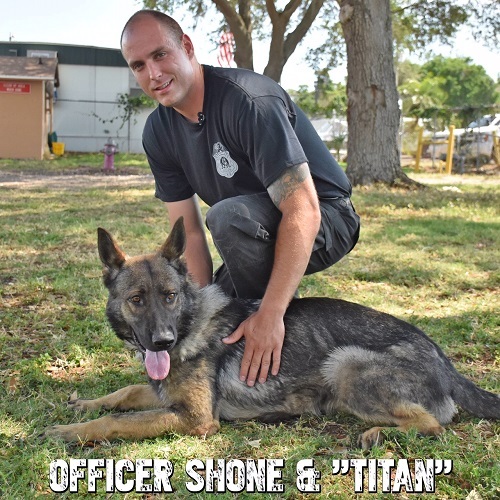 Photo of St. Petersburg police Officer Shone and K-9 Titan courtesy of the St. Petersburg Police Department.